Yes, it’s true: The epic summer concert slate of 2018 is coming soon to its inevitable close. But don’t put away those dancing shoes just yet, dear Trailheads, because his fall’s live music line-up is arguably just as good. And at the top of our excitement list is the return of Jason Isbell & the 400 Unit. Two years ago the Americana icons hit the Wilma fresh off a pair of Grammy Award wins, including an Americana Album of the Year win for his fifth full-length release, Something More Than Free. Now, with another pair of Grammy’s under his belt – including, again, for Americana Album of the Year (The Nashville Sound) – the Jason and company head back to Missoula for a bigger performance outdoors at the new Kettlehouse Amphitheater. 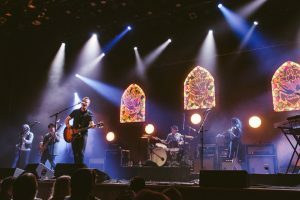 The Missoula stop comes just after the announcement this summer of yet another Isbell project, the 13-track Live From the Ryman. Set for Oct. 19 release, the album features songs recorded during the band’s six-night residency last fall at the historic Ryman Auditorium in Nashville. This week on New Tracks on the Trail we’ll get you primed for the concert and what’s likely another award-winning release from the Americana heroes. Check it out! • Another Missoula concert favorite, Brett Dennen, will release his second EP of this year on Aug. 24. The followup to Let’s…, the new one is titled Here’s Looking At You Kid. It was also recorded with Dan Wilson, frontman of Semisonic. The American folk/pop singer is currently touring the U.S. with Jason Mraz. 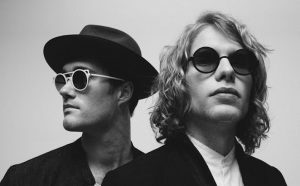 • Canadian electronic duo Bob Moses will follow-up their 2016 debut with another genre-blurring album, Battle Lines. Due Sept. 14, the album is described as “accessible post-club music” by Dancing Astronaut’s Grace Fleisher. Check out her full review HERE and then be sure to catch the group on tour starting in September. • Austin based rock guitarist Alejandro Escovedo will drop his 13th full-length on Sept. 13. It’s titled The Crossing, and it features guest appearances from members of the Stooges, MC5 and more. Check out that full review HERE. • Finally, we introduced her to the Trail 103.3 with “Lottery,” the first single off her debut EP, Something American, in February. 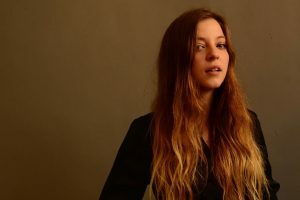 Now a second track from the 20-year-old British songstress Jade Bird. Bird is in the midst of a long summer festival run after garnering heavy airplay with “Lottery,” which hit #1 on Billboard’s Adult Alternative Songs chart in April.